In the wake of the nuclear agreement reached in Vienna, Iran will enjoy a huge influx of cash—and so will the terror groups it sponsors. A quick look at what that’ll mean for us. The deal reached in July 2015 by the five permanent members of the UN Security Council and Germany—the P5+1—and Iran, ostensibly to curb the latter’s nuclear program, will have far-reaching consequences beyond the scope of Tehran’s nuclear ambitions. One key realm in which the world can anticipate a deeply negative impact concerns the support for international terrorism provided by the Iranian regime. In exchange for accepting major Western concessions on its nuclear research activities, the Iranian regime will receive significant sanctions relief, readmission to the international financial system, and the gradual easing of a United Nations-imposed arms embargo. Collectively, these steps amount to the lifting of punitive measures levied against Iran over the past decade by the United Nations, the European Union, and a variety of national governments—including the United States—in response to Iranian obstruction over its clandestine nuclear activities. Whether the deal struck in Vienna in July 2015, known as the Joint Comprehensive Plan of Action (JCPOA), will actually prevent Iran from obtaining a nuclear bomb remains to be seen. What is indisputable, given the nature of the regime, is that Iran—the world’s leading state sponsor of terrorism—will continue and likely increase its support for such nefarious activities. Senior administration officials, all the way up to the president himself, have conceded this point, which is remarkable given their obfuscations about many other, smaller details of the agreement. At a press conference soon after the JCPOA was announced, President Barack Obama himself acknowledged that the United States and Iran “will continue to have profound differences,” namely over the latter’s “support for terrorism” and “its use of proxies to destabilize parts of the Middle East.” Asked by CNN’s Wolf Blitzer if Iran’s newfound windfall may lead to increased “support [for] international terrorism,” National Security Adviser Susan Rice responded, “We should expect that some portion of that money would go to the Iranian military and could potentially be used for the kinds of bad behavior that we have seen in the region up until now.” As sanctions ease, there is every reason to believe that such “bad behavior” will not only continue, but that it will increase substantially. 1. Sanctions relief. As a result of the JCPOA, Iran is expected to receive some $150 billion in sanctions relief. That Tehran chose to obstruct and obfuscate over its nuclear program over the past nine years, when UN sanctions were first implemented, enduring international isolation and an economic crisis as a result, suggests that the Iranian regime places a priority on the pursuit of illicit activity in general, even to the detriment of the welfare of its own citizens. Given the sacrifices Iran has been willing to endure on behalf of its covert nuclear program, there is no telling how much of the $150 billion Iran will devote to terror, for which it has hardly been punished, but even a small portion would be significant. 3. Central Bank of Iran. In 2012, President Obama signed into law punishing sanctions against the Central Bank of Iran, following a Treasury Department finding that Iran’s “support for terrorism,” “pursuit of weapons of mass destruction,” and “deceptive financial practices” rendered the entire country a “Jurisdiction of Primary Money Laundering Concern.” The JCPOA calls on the United States to delist the Central Bank, along with several other banks sanctioned by the United States for their involvement in terrorism. This, combined with the aforementioned readmission of Iran into SWIFT, will make it much easier for Tehran to transmit money around the world—money that could very easily be used to fund terrorist and other illicit activities. 4. Islamic Revolutionary Guards Corps. Among the over 800 individuals and entities listed for sanctions relief is Qassem Soleimani, Commander of the Qods Force, the elite, expeditionary regiment of the Islamic Revolutionary Guards Corps (IRGC), designated as a terrorist organization by the U.S. Soleimani has been at the forefront of organizing Shi’a sectarian militias in Iraq responsible for the deaths of American soldiers. 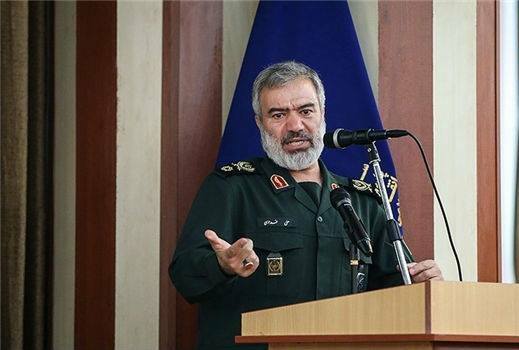 Several other IRGC senior officers and front groups will also be delisted as a result of the JCPOA. 5. Arms Embargo. Five years after the JCPOA is formally agreed, the United Nations conventional arms embargo on Iran will be lifted, regardless of whether or not Tehran alters its support for terrorism. Iran had long argued for a revocation of the embargo in exchange for its agreement to a nuclear deal, stating that the two issues are not linked, and that the embargo was being used unfairly to pressure Tehran into succumbing to the P5+1’s demands. By that very logic, it is unclear why the P5+1 would concede this point to the Iranians, given the fact that their support for terrorist groups and insurgencies across the Middle East has only increased over the past several years. 6. Conflict in Yemen. As recently as April, Secretary of State John Kerry acknowledged that Iran has been sending “a number of flights every single week” to supply arms to Houthi rebels—Shi’a Muslims—fighting an insurgency against the government of Yemen, in spite of a United Nations Security Council resolution calling for an arms embargo against the uprising. 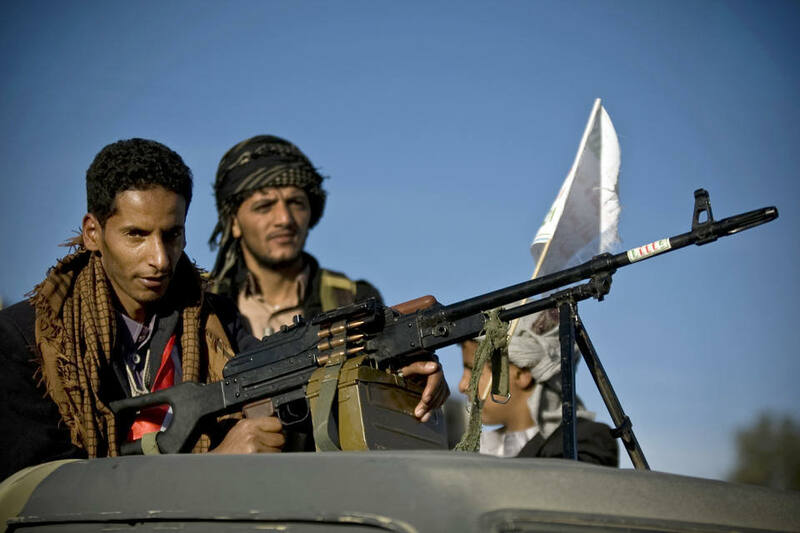 A month earlier, an Iranian cargo ship is reported to have unloaded some 180 tons of weaponry to the Houthis. Military support has included such sophisticated weaponry as surface-to-air missiles, explosives, and rocket-propelled grenades. 7. Conflict in Iraq. Iran, through its IRGC, has long been the prime sponsor of Shi’a militias in Iraq. In the years following the overthrow of the Saddam Hussein regime, Iranian proxies fueled a sectarian civil war and targeted American and Coalition forces, killing at least 1,100 American soldiers, according to former U.S. Ambassador to Iraq James Jeffrey. The IRGC’s presence in Iraq, though officially welcomed by the Iraqi government over a year ago out of desperation in fighting the Islamic State group, has only fueled the country’s sectarian divide. 8. Palestinian Territories. Iran is the most significant sponsor of Hamas, the Palestinian terrorist group that adamantly rejects a two-state solution with Israel, calls for the murder of Jews worldwide, and controls the Gaza Strip by brutal force. 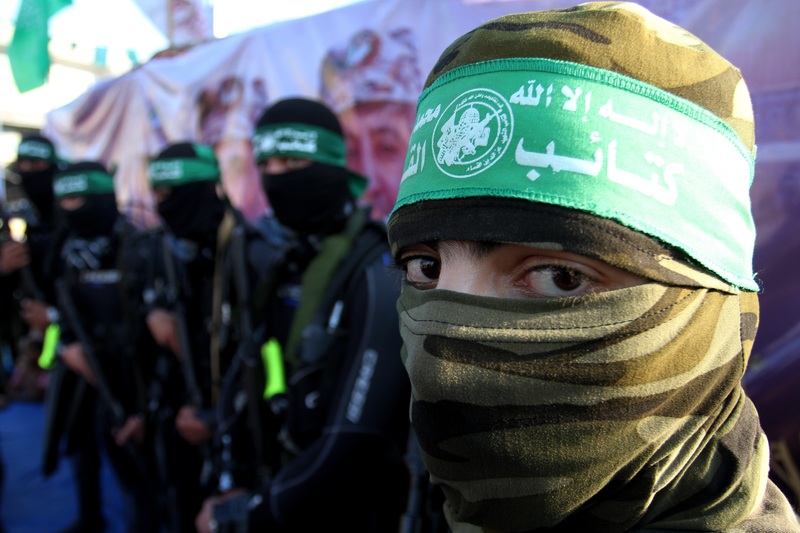 Hamas’ Sunni Arab profile attests to the protean nature of Iran’s support for terrorism; the mullahs are perfectly willing to provide aid and succor to organizations that are not Shi’a should such support further the Islamic Republic’s stated goals of destroying the Jewish State and forcing the United States out of the Middle East. 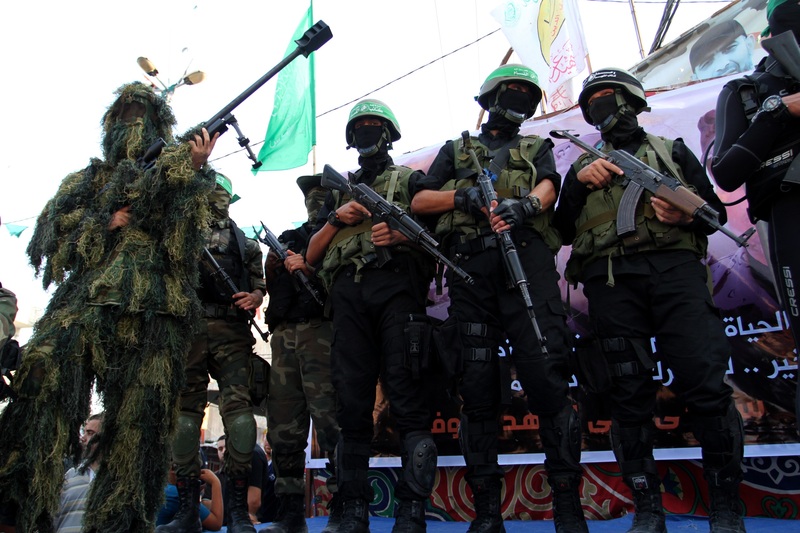 The Hamas-Tehran alliance has continued despite differences triggered by the war in Syria, where Iran has helped prop up a minority Alawite regime that has murdered over 100,000 Sunnis and displaced millions more. Over the past year, Iran has sent tens of millions of dollars to Hamas to help the terror group repair the tunnels it had constructed to smuggle weapons into Gaza; many of these passageways were exposed and destroyed by Israel during Operation Protective Edge last summer. 9. Lebanon. Iran extends its influence into Lebanon via the Shi’a militia Hezbollah, whose 1982 founding, and continued sustenance, is largely attributable to Tehran. Through the self-described “Party of God,” which has never disarmed despite repeated United Nations Security Council resolutions demanding that it do so, Iran effectively exercises a veto over Lebanese politics. Hezbollah’s de facto control over the southern part of the country means that Iran has essentially created a terror-statelet on Israel’s northern border. Today, it is feared that Hezbollah has stationed over 100,000 rockets in southern Lebanon—many, if not most, of Iranian provenance—nearly ten times as many as it had at its disposal during the 2006 war it launched against Israel. Five members of Hezbollah have been charged with the 2005 assassination of former Lebanese Prime Minister Rafik Hariri; they are currently being tried for the crime in absentia by a UN Special Tribunal. 10. Latin America and international terrorism. Iranian support for terrorism spreads beyond the Middle East, most alarmingly in Latin America. In 1992, Hezbollah bombed the Israeli Embassy in Buenos Aires, killing 29 people. Argentine prosecutors have accused Iran of planning the 1994 attack on the AMIA Jewish center, also in Buenos Aires, in which 85 people were murdered in the single worst anti-Semitic atrocity since the Second World War. Last October, a Hezbollah operative was arrested in Lima, Peru on terrorism charges after police found detonators and TNT in the man’s home. They believe he was planning to attack Israeli and Jewish targets. In 2011, the U.S. Justice Department alleged Iranian involvement in a plot to kill Adel al-Jubair, the Saudi Arabian Ambassador to the United States, at a café in Washington, D.C.—an attack that, had it been successful, would have resulted in a bloodbath. In July 2012, Hezbollah, again with Iranian backing, launched a bomb attack upon a busload of Israeli tourists in the Bulgarian resort of Burgas, murdering five of them along with the bus driver, a Bulgarian national. In selling his Iran deal to the American people, President Obama has waived away complaints that it will embolden Iranian sponsorship for terrorism, stating that a curb to the country’s nuclear ambitions is paramount. “This deal is not contingent on Iran changing its behavior,” he has said. Should this agreement become official, Iran will be let out of its cage, one that was painstakingly erected to contain its malignant and destructive influence on the region and the world. A version of this essay appeared in The Tower’s new briefing book on the Iran Deal: “Surrender in Vienna: Why We Need a Better Nuclear Deal with Iran.” Click here to download.